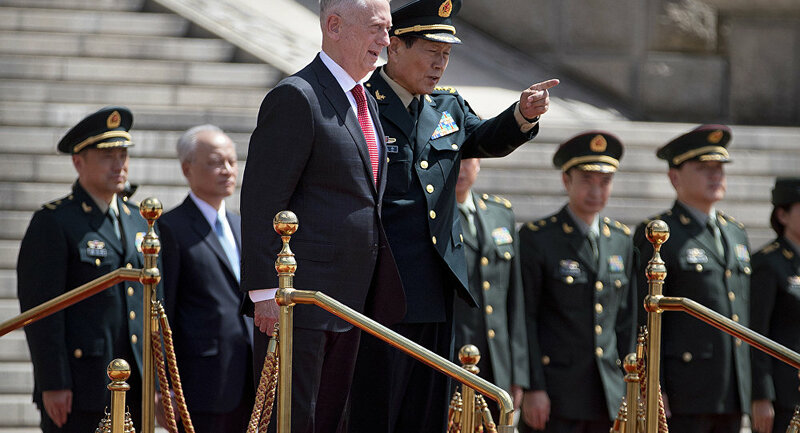 US Secretary of Defense James Mattis reiterated Washington's position on the South China Sea by urging Japan and South Korea to work with the United States at sea to prevent a single power from dominating its waters. The head of defense said that the US would continue to "fly over, sail and operate where international law allows and national interests demand," before declaring that the US "can not accept the militarization of the South China Sea or any coercion" . in this region. " Beijing has provided a huge amount of military resources in strategic areas of the South China Sea for "national defense purposes." The resource-rich sea is also immensely important for trade inside and outside Asia. Sovereignty over waters is claimed by many Southeast Asian countries, each claiming exclusive rights often overlapping reefs, islets and fishing waters within the area. The Spratly Islands and the Paracel Islands are among the most frequently disputed territories. Beijing, Taiwan, Vietnam, Malaysia and the Philippines have claimed portions of the Spratly, while Beijing, Taiwan and Vietnam vie for sovereignty over the Paracels. China has had de facto control over the Paracels since 1974. The US is often dismayed by the construction of outposts and Chinese military facilities on artificial islands in the South China Sea, but the actions are often restricted to international denunciations and verbal warnings. Meanwhile, US Navy vessels conduct "freedom of navigation" operations in these areas, and US Air Force bombers sometimes conduct "overflight" over the South China Sea.